﻿Dr. Anbessie is a board-certified physician in internal medicine and has been working in the north Virginia area for more than 10 years. Dr. Anbessie graduated from Addis Ababa University Medical Facility and did his postgraduate training in obstetrics and gynecology. After moving to the US, he also did residency training at Howard University Hospital in Washington, DC, in internal medicine. Moreover, he holds a board certification as a diplomat of the American Board of Internal Medicine. With his radiant personality and his exceptional care for his patients, Dr. Anbessie is liked by his patients who he has been serving for more than 10 years. Dr. Anbessie lives in Lorton with his wife and two children. He also enjoys soccer and reading during his leisure time. 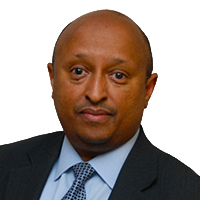 Dr. Woldeher is one of the founders of Aquia Family Medical Center. After graduating from Addis Ababa University, Dr. Woldeher did his residency training in both pediatrics and internal medicine in Pontiac, Michigan, at Wayne State University. His love for children and family in general has made him one of the best family physicians in Stafford, Virginia. Moreover, he is board certificated and is a diplomate of the American Board of Internal Medicine. Dr. Woldeher enjoys serving his patients by being available and providing comprehensive health care for the entire family, from newborns to those in their senior years. Dr. Woldeher lives in Lorton and is married with two children. In his spare time, Dr. Woldeher likes to play soccer and spend time with his family. "I enjoy treating patients of all age groups," Dr. Woldeher said. "I promote a balanced approach to optimum good health through diet, exercise, and preventive education." 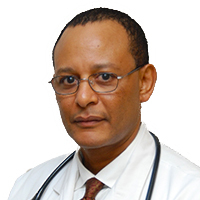 Dr. Gebreyesus is board certified in internal medicine, and is a diplomate of the American Board of Internal Medicine. He finished medical school at Addis Ababa University and did postgraduate training in surgery for three years. 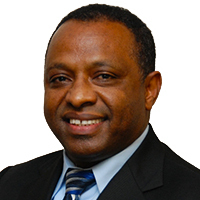 Dr. Gebreyesus did his residency training in internal medicine at the University of Wisconsin, Milwaukee. As an internal medicine specialist, he provides high-quality, comprehensive care for adults of all ages and has special interests in diabetes, hypertension, and cholesterol and lipid disorders. He is also an advocate of preventive medicine, which is incorporated in his daily practice. Dr. Gebreyesus lives in Stafford with his wife and their three daughters. In his leisure time, he enjoys reading, playing music, and spending time with his family. Dr. Gebreyesus said, "I believe that an ounce of prevention is worth a pound of cure."